We discovered and started featuring the music of Caroline Cobb shortly after the 2013 release of The Blood + The Breath, and she was a part of the roster of Escape To The Lake 2014. Now she has just released her follow-up album A Home & A Hunger, which is a masterful work – we think one of the best albums to surface this entire year. We had a chance to catch up with Caroline recently. UTR: Over 4 years has passed since your last album. What are some of the “life” things you’ve been dealing with since that time? CC: Since the last album came out, we had our third child, made two big, cross-country transitions and have experienced suffering up close with friends and family. For me, God has used these transitions and my everyday context of motherhood to reveal my sin and remind me of my need for the gospel. The more I have seen myself as a sinner, the more sweet God’s “upside-down” gospel has become and the more I cling to Jesus. Like many of us, I’ve also seen a lot of suffering in our world, and in the lives right around us. For example, Nick’s father was diagnosed and eventually passed away because of ALS (Lou Gherig’s disease). On the surface, this is a totally hopeless disease because there is no cure and no way to fight it. Even still, God’s promise to restore and redeem gives us great hope, even in the face of seemingly hopeless things. I think these themes of the “upside-down” gospel and kingdom hope come across in the album, although the songs are not explicitly about my experiences. UTR: The previous album was a story-arc project on the theme of Redemption. Did you know early on that you wanted the follow-up album to also have a story-arc? CC: You know, after the last album came out, my only plan was to continue to write more songs telling the stories scripture because I had discovered that I loved doing it. In those four years of writing I noticed some specific themes emerging and began to imagine a story-arc/concept album centering on those themes. Specifically, I noticed the songs tended to be full of both ache and hope, the tension we feel in the already and the not yet of God’s kingdom, and the beautiful “upside-down” nature of the gospel. 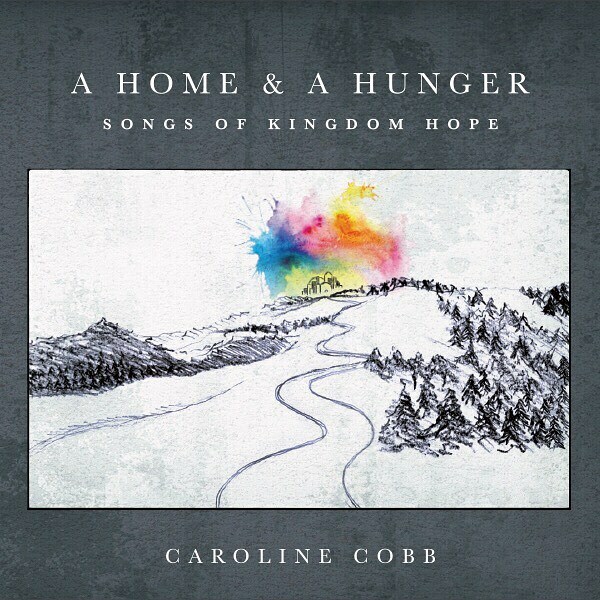 UTR: The new release is titled A Home & A Hunger: Songs Of Kingdom Hope. What was the thematic goal? And what do you hope the listener experiences? CC: Like the last album, A Home & A Hunger is a journey through scripture, with each song parachuting into a different biblical scene. It begins with the first “hunger pangs” of the Fall in Genesis 3, with a song called “Eve’s Lament” that is written from her perspective and has a lot of serpent imagery. The album drops into stories of homecoming like the crossing of the Red Sea into the Promised Land, God making His home with us through Jesus, and the prodigal son returning to his father. Finally, it ends with a song from Revelation 21-22 when God will make His home with us forever. Along the way, there are also songs that acknowledge the mix of ache and joy we feel while we wait for the end of the Story. 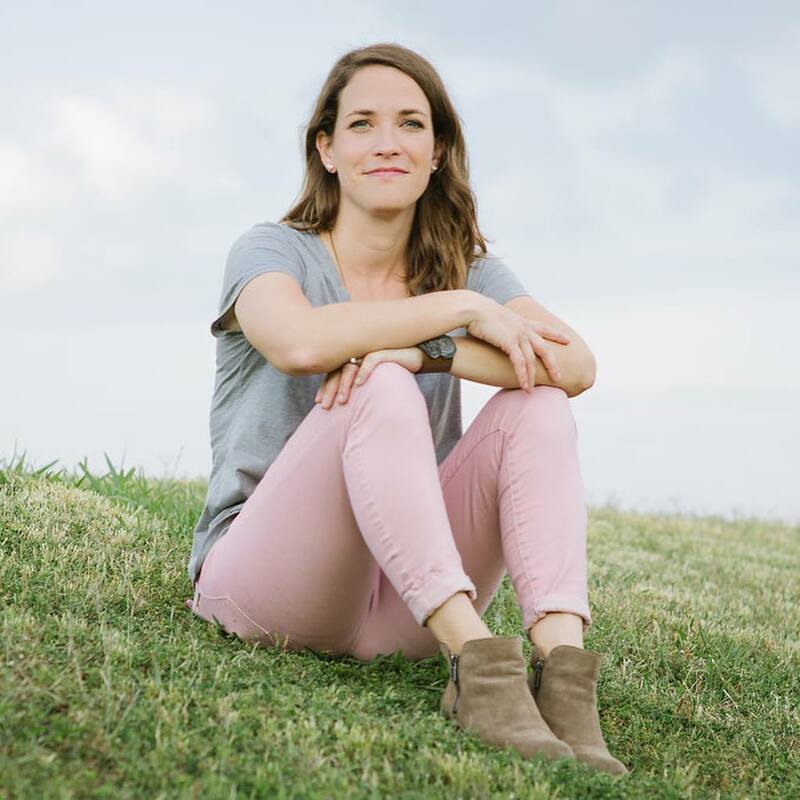 The hope for the album is that listeners would be able to rehearse and remember God’s Big Story, whether they’re sitting at their desk at work, or driving in the carpool lane, or making dinner. My prayer is that they would behold Christ, remember their secure, eternal hope in hard times, and be reminded of how good the gospel really is. UTR: Based on your last album, I had high expectations, but even those were exceeded. Who were some of the contributors behind the scenes that helped to bring these songs to life? CC: I’m so glad you asked! The album would not have been what it was without producer Gabe Scott, who produced Andrew Peterson’s latest. Gabe understood the heart behind the project, and brought lots of magical “moments” to each of the songs. It’s hard to describe the effect he had on this album, but it was profound. Buckley Miller engineered, Matt Pierson played bass, Bryan Brown played electric, and Paul Eckberg played drums. Each of these guys brought wonderful talent to the table. Some of my favorite singer-songwriters – Jill Phillips, Shane Barnard & Sean Carter (a friend and co-writer of “Behold, Behold”) – sang on this album as well, which was so special. My family was incredibly supportive, with my husband and my mother-in-law picking up a lot of my “mom” duties. And of course, without the team of Kickstarters supporting me and keeping me accountable, the album would never have happened in the first place! UTR: Were there any surprises in the recording and production of the songs – like a track that ended up taking an unexpected left turn? CC: “Emmanuel (Every Promise Yes in Him)” has had a meandering journey. I originally wrote it as a lilting, sweet Christmas song. Then, I changed the chorus and it became a bit more Americana. But in the studio, we tried it with an Americana vibe and it felt bland. Gabe had this great idea to make it into a driving pop song and I love the way it turned out. It feels vibrant, alive and joyful, which complements the meaning of the song and the lyric so well! UTR: It’s likely difficult to both give and receive. But, did any of the new songs seem to speak to your heart at the right time? UTR: When you are out on the roads sharing these songs, what are some of the small experiences that make the travels more enjoyable? CC: The most amazing thing is when someone approaches me after a concert and tells me how a specific song has affected them in a specific way. I always close the concert with “Behold, Behold” – a song from Revelation that tells of John’s vision of heaven, where God will wipe every tear away from our eyes and there will be no more death or mourning or crying anymore. This song, I think, has been a comfort and healing balm for people who have endured a lot of suffering or lost someone close to them. It is a humbling privilege to get to be a vehicle for these promises from scripture. I also love getting to see old connections and friends. Because of our many moves, we have friends all over the country and I almost always get to see someone I know. When I get to try out a local favorite restaurant or coffeeshop or hike, that makes me super happy too! If you are looking for a worshipful and devotional experience with music that isn’t your cliche cookie-cutter worship music experience, then A Home & A Hunger is exactly for you. This is such an easy album for us to endorse and spread the word about because of the craftsmanship of the songs and the wonderfully Biblical lyrical themes. The album is available now – buy it and start soaking it in!